An end to the torturous Beginning Teacher Support and Assessment Program? It seemed too good to be true, like a class roster with 15 names on it the day before school starts when, of course, 37 kids walk into the room. Like every other California public school teacher who started in the last decade, I suffered through two years of after-school BTSA meetings that provided as much fun and benefit as a cheese grater applied directly to my brain. 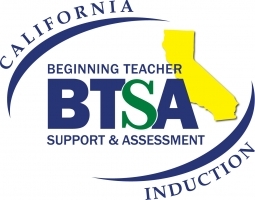 BTSA is supposed to be a mentoring program to help new teachers, pairing them with experienced educators to support them during their first two years. People collecting BTSA paychecks told me many times that teachers who complete the curriculum are more likely to stay in the profession. These program leaders mean well, but they’re deluding themselves. If BTSA teachers make it more often than others, that’s only because they possess an unusually high tolerance to bureaucracy. Providing mentors is beneficial, but BTSA also mandates lengthy meetings and mountains of paperwork, much of it a rerun of credentialing coursework the rookie teachers just completed. The result is a bureaucratic bombshell that needlessly burdens and frustrates teachers in their most difficult early years. In fact, two of my colleagues were so aggravated by this institutional hazing that they burned their BTSA materials in an act of catharsis. “Mere words are woefully inadequate to properly describe the bitter hatred I have for BTSA. I am convinced that BTSA is a fiendishly designed conspiracy to drive young teachers off from the profession,” wrote one teacher. “I am now so frustrated and so upset that I have decided to leave public education, in order to teach in a correctional facility where apparently crime does pay,” opined another. “The amount of record keeping and paperwork a teacher is expected to complete has reached IRS-like proportions and yet new teachers are expected to do more and more paperwork for BTSA, exercises that have all the value of making a student write ‘I will pay attention in class’ 100 times,” wrote a teacher. Here’s one way: replace BTSA with locally arranged partnerships between rookies and veterans. Provide modest release time for the pairs to meet. This would fulfill BTSA’s worthy goal of supporting beginning educators while reducing their aggravation and saving no small number of trees. This easy reform would improve teacher retention, thereby benefiting administrators and especially students. It would save some $4,000 per new educator statewide. This should be a no-brainer for Sacramento, but don’t expect the well-paid supporters of endless meetings and red tape to go quietly. Leading this fight should be tenured teachers who can’t be fired for saying the emperor has no clothes. Comparing BTSA meetings to Abu Ghraib, the copy room news item was a joke, of course. But eliminating, or at least improving, BTSA is a dream that can come true if educators have the conviction to tell our lawmakers the truth, loudly.